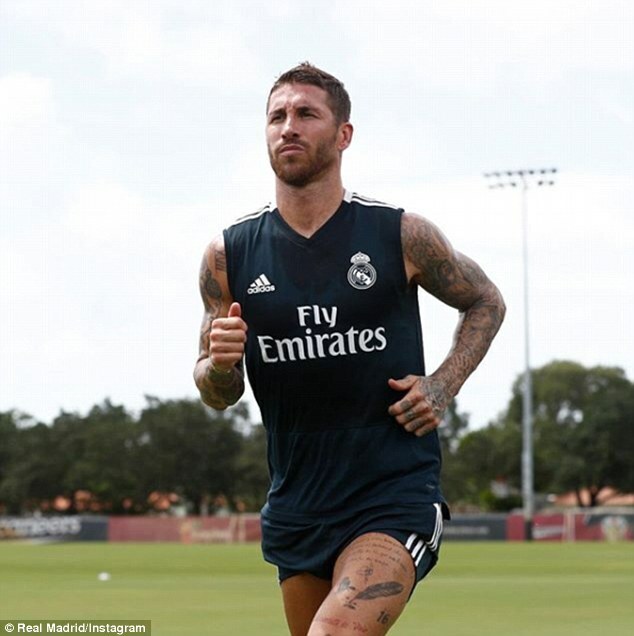 Sergio Ramos has returned to training with Real Madrid for the first time after enjoying some time away from football since experiencing heartbreak at the World Cup in Russia. 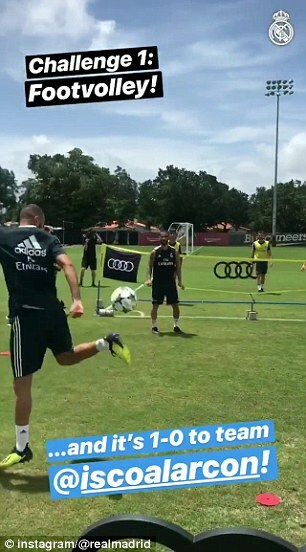 The Real captain joined his team-mates on their pre-season tour of the United States and faced the prospect of training without talisman Cristiano Ronaldo following his move to Juventus in July. 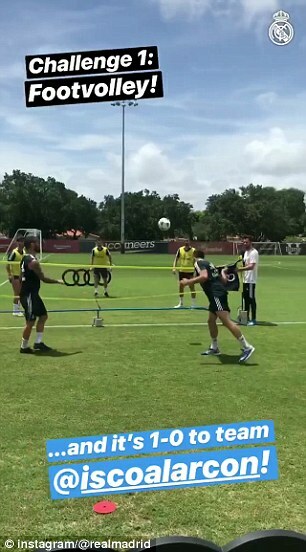 This didn’t seem to dampen the mood, however, as Julen Lopetegui’s men took part in a series of fun training-ground challenges during their pre-season tour of America. 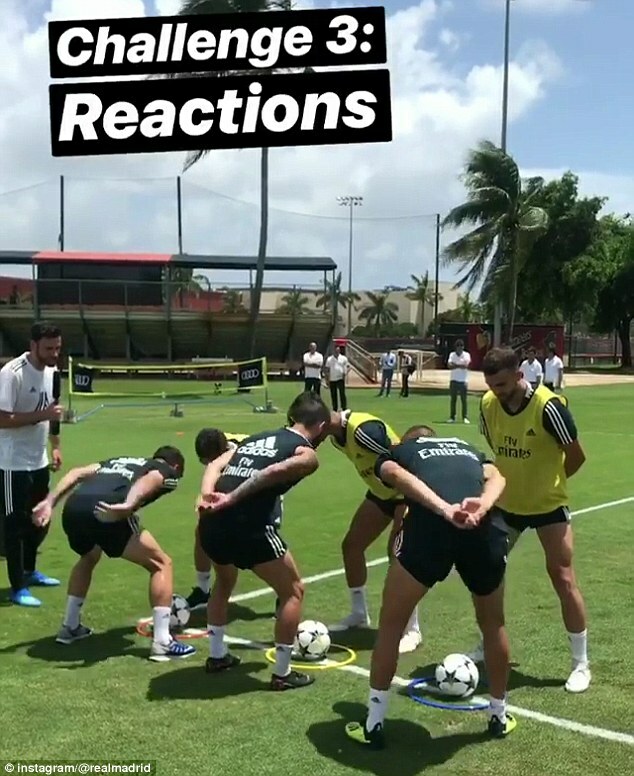 Two teams, led by Isco and Borja Mayoral, were pitted against each other in a best-of-five series of challenges at Barry University in Miami. The first event was a ‘Footvolley’ challenge which involved the two sides playing volleyball using their heads, chest and feet. 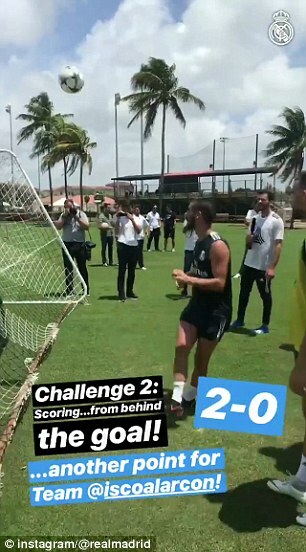 Isco’s team of Karim Benzema and Dani Carvajal took the lead before doubling their advantage in the next challenge when they were asked to score from behind the goal. 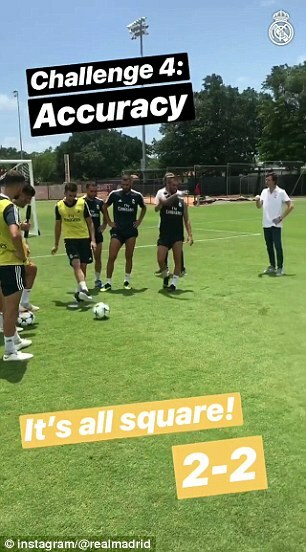 Challenge three was all about the player’s reactions and the team to pick the ball up from the floor quickest were deemed the winners. 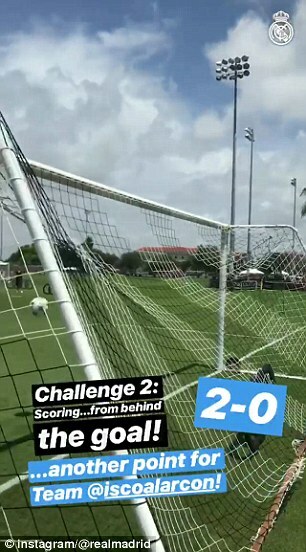 Mayoral’s team pulled off a late comeback by winning the reactions and accuracy challenges to see the series go to sudden death. 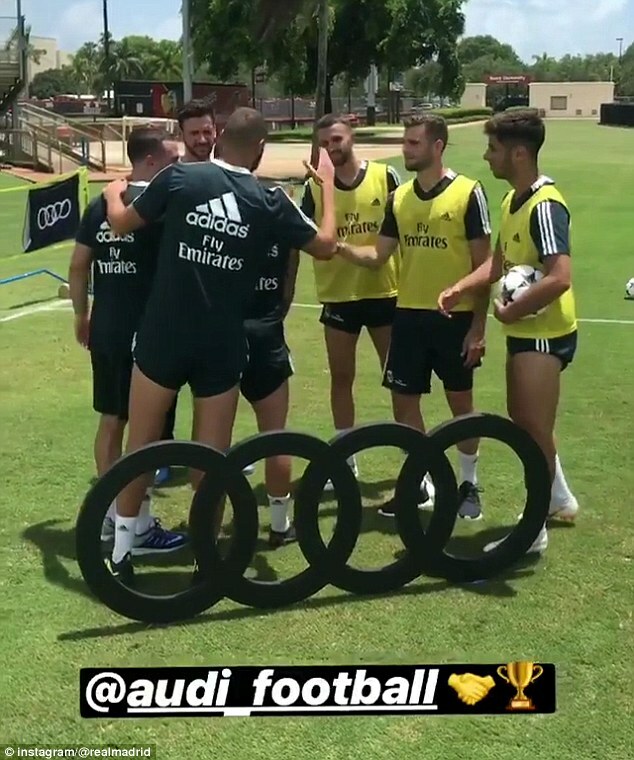 The final event was all about the player’s first touch where they had to pick the ball out of the air and then place it gently inside a coloured ring. Isco led by example and won his side the final point on Wednesday afternoon.